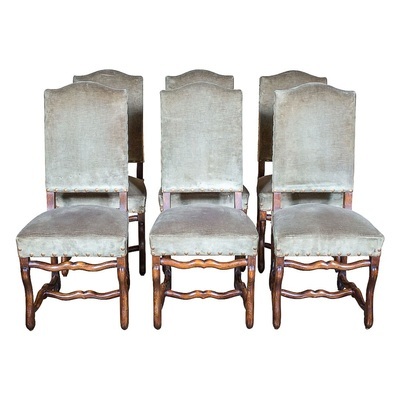 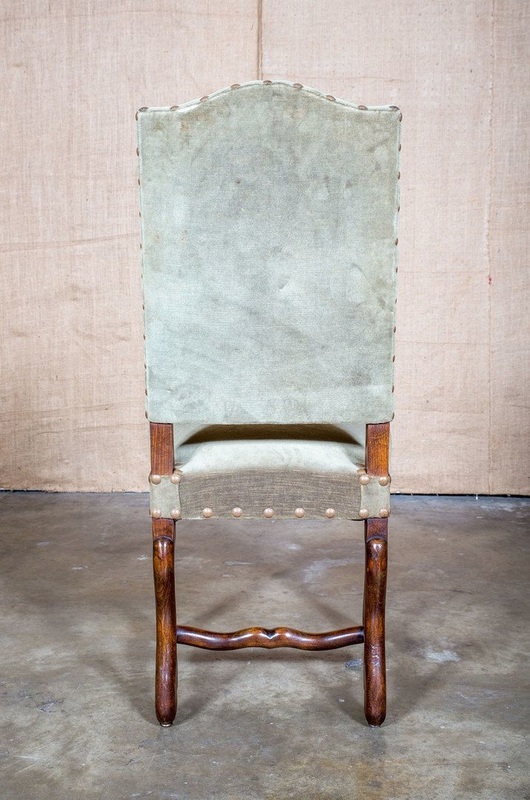 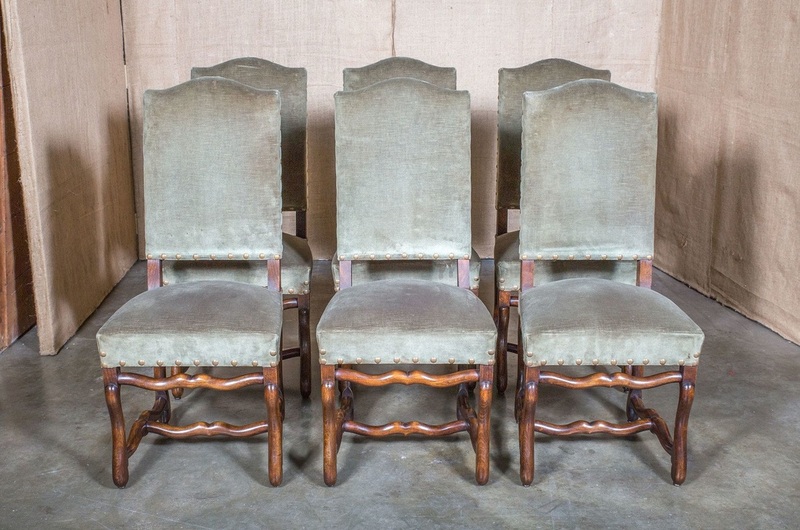 Beautiful set of 6 Louis XIII style Os de Mouton dining chairs with chapeau de gendarme backs. 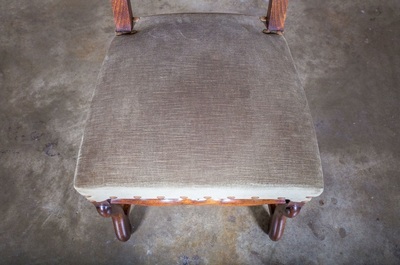 Circa 1880s. 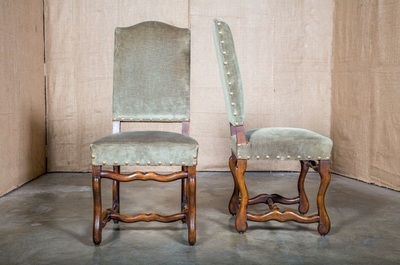 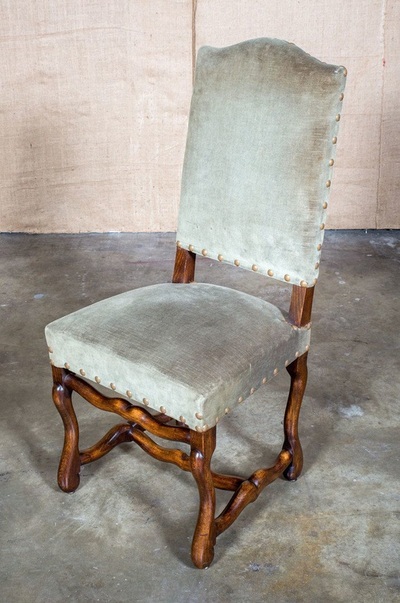 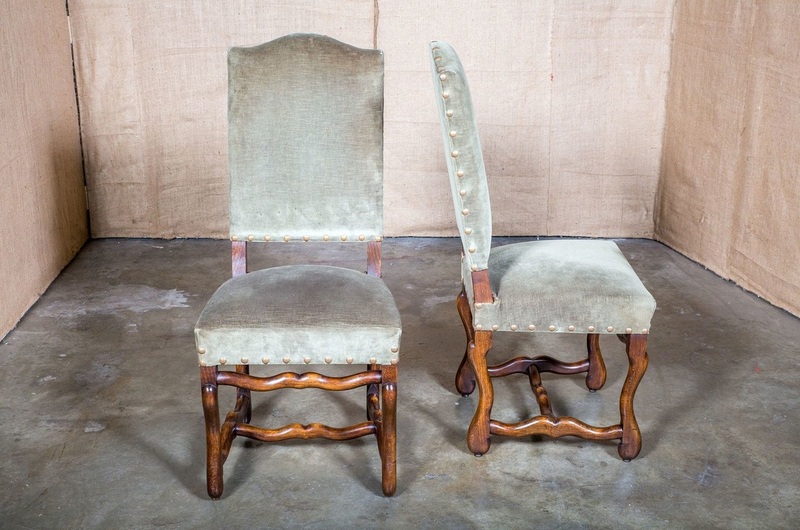 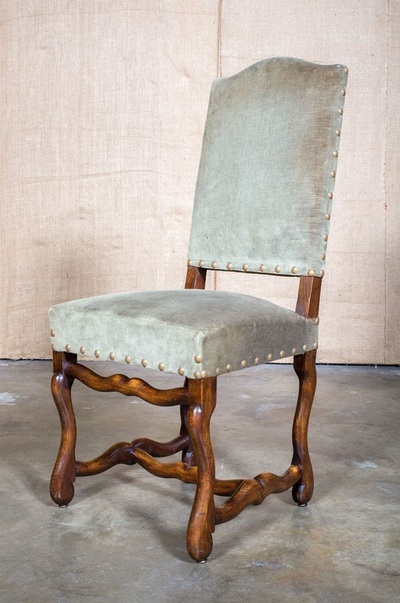 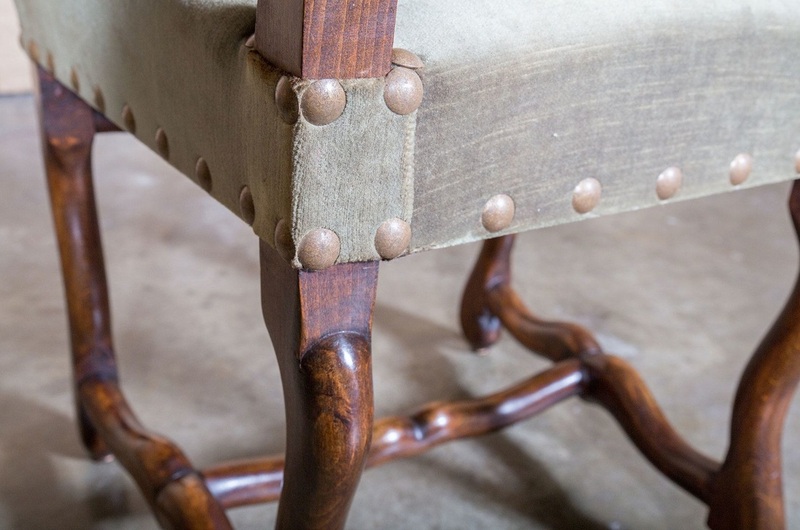 Vintage sage green linen velvet upholstery with nailheads. 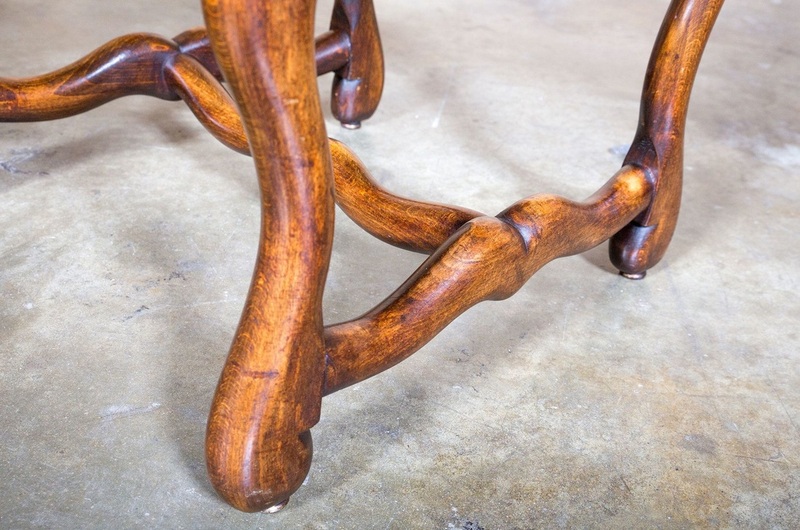 Walnut chair frames are in excellent condition.